Enjoy a traditional evening in Irelandâ€™s oldest thatched pub; The Crosskeys Inn, famous for its traditional Irish music sessions by the open turf fire, and for serving one of the best pints of Guinness with a fantastic selection of Irish Whiskies. Enjoy a traditional evening in Irelandâ€™s oldest thatched pub; The Crosskeys Inn, famous for its traditional Irish music sessions by the open turf fire, and for serving one of the best pints of Guinness in the north with a fantastic selection of Irish Whiskies, this is a â€˜must seeâ€™ on your trip to Ireland. 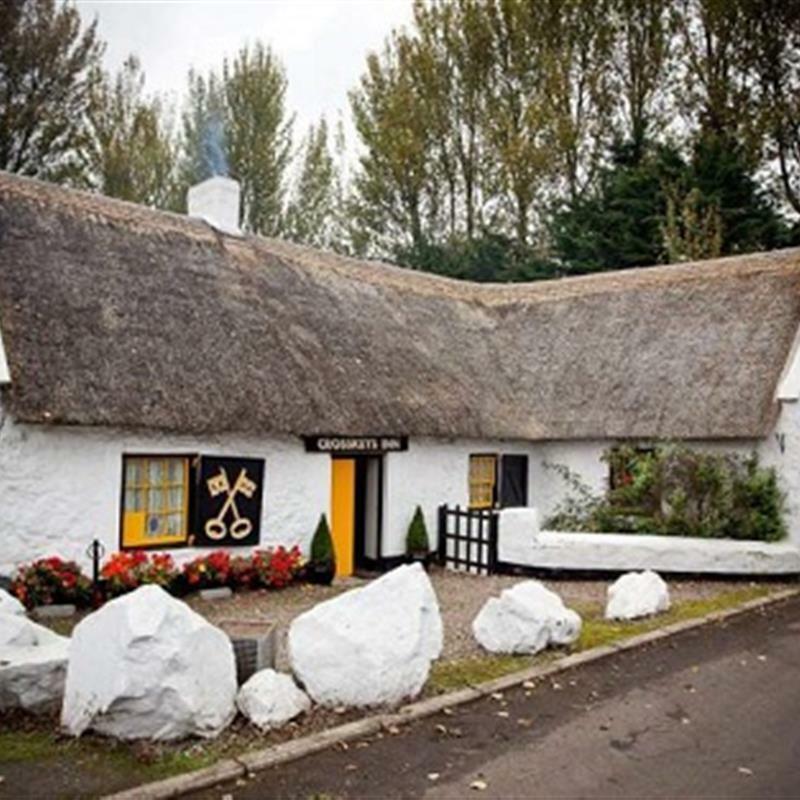 The Crosskeys Inn is a stone built cottage which was once a coaching stop on the route between Belfast and Derry. The building dates back to 1654 and is one of the last remaining traditional pubs in Ireland to host traditional music sessions. Tour not suitable for children. Includes: Return transport, traditional music session, brief history of the Crosskeys.